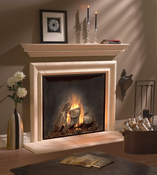 Give your formal living room or laid-back family den the perfect finishing touch with a cast stone mantel from Balmer! 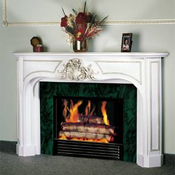 Balmer’s framed fireplace mantels and cast stone mantels give you both the comfort of home and plenty of style. Do you have memories of sitting around a fireplace during the holidays with your family? Or perhaps you enjoyed the luxury of a fireplace on a vacation, and want to recreate the look in your home. 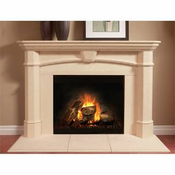 MiIlwork City carries Balmer cast stone mantels to turn your fireplace from a simple utility to a true focal point. Never settle for a fireplace that doesn’t match your style perfectly. The beauty of Balmer cast stone mantels is the many options that Millwork City offers to match your style. Want a modern mantelpiece with clean lines that flows perfectly with your urban loft? Try the Bolexion Mantel Shelf. Do you prefer a decorative framed fireplace that gives your home a formal flair? 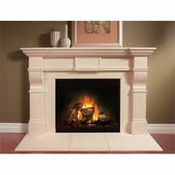 Try the Balmer Geneva Mantel. No matter what your style, these cast stone mantels can give you exactly the finishing touch for any room.